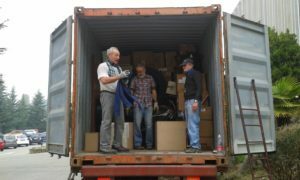 Between 29 and 31 October, two containers of humanitarian aid left Villa Brea for Burkina Faso, one of 12 metres and the other of 6 metres. 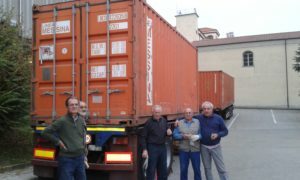 They will leave the port of Genoa on 10 November and, after arriving at the port of Thema in Ghana, will arrive in Ouagadougou (Burkina Faso) and from there to Saaba for classification and distribution. 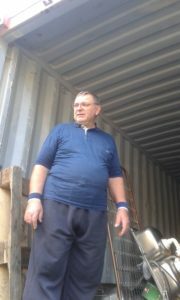 Thanks to the donations of many friends, sanitary equipment, food aid and various supplies have found a place in these containers – a small way of “Showing solidarity today”! 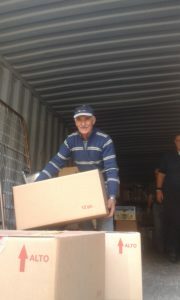 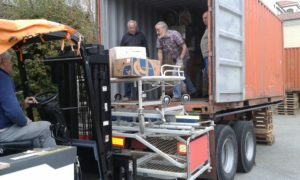 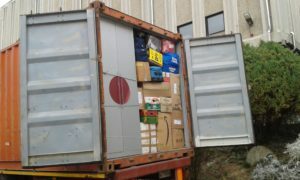 Thanks to the Brothers and volunteers who collaborated once again in the preparation and loading of the containers.